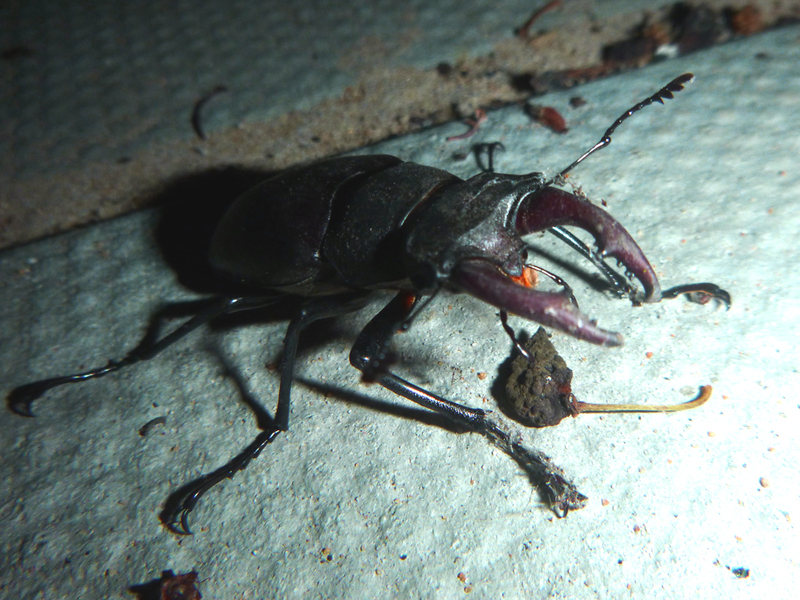 I've seen the odd stag beetle over the last week or so - but last night there were 4 on the path - I grabbed the camera, went back and snapped a quick photo of one. Could tonight be flight night? Only ever found the one and that was in France - I am so jealous. Hopefully get some better photos tonight. Or that will be my excuse when I’m caught creeping around the neighbourhood at night with a spotlight and camera!! Yeah, gives them away from quite a distance. Would love to get a photo of one in flight, they look great. Hopefully about an hour until they appear.